Storyscape has worked in partnership with Plan Australia over the past couple of years training staff in the use of creative tools such as PhotoVoice, Digital Storytelling and Participatory Video. 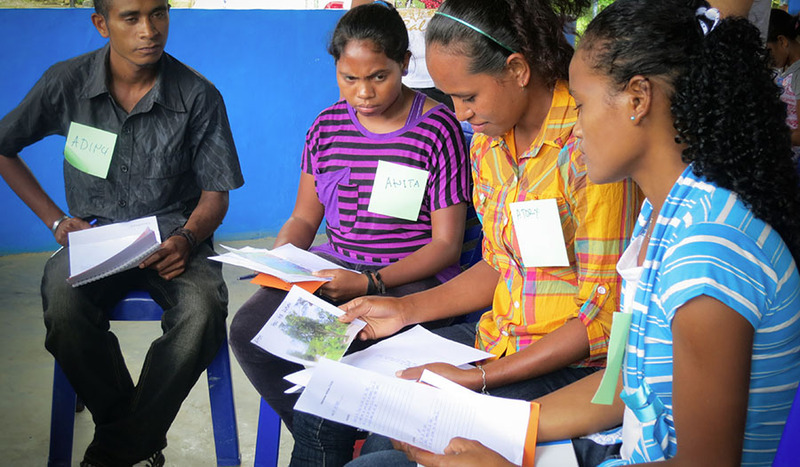 In this project Storyscape worked with Plan in Timor-Leste, to train staff in the use and delivery of PhotoVoice activities. We also worked specifically with the youth team to facilitate PhotoVoice workshops with young people as part of the Youth Empowerment for Sustainable Development (YE4SD) Program. Using PhotoVoice, these workshops specifically sought to gather baseline Monitoring & Evaluation information about how ‘active’ young people are, their confidence levels, and whether they see themselves as change agents/leaders in the future. We also used PhotoVoice, in combination with community mapping, storyboarding and drama/role play to help young people identify things they most wanted to change, and how to make that change happen.